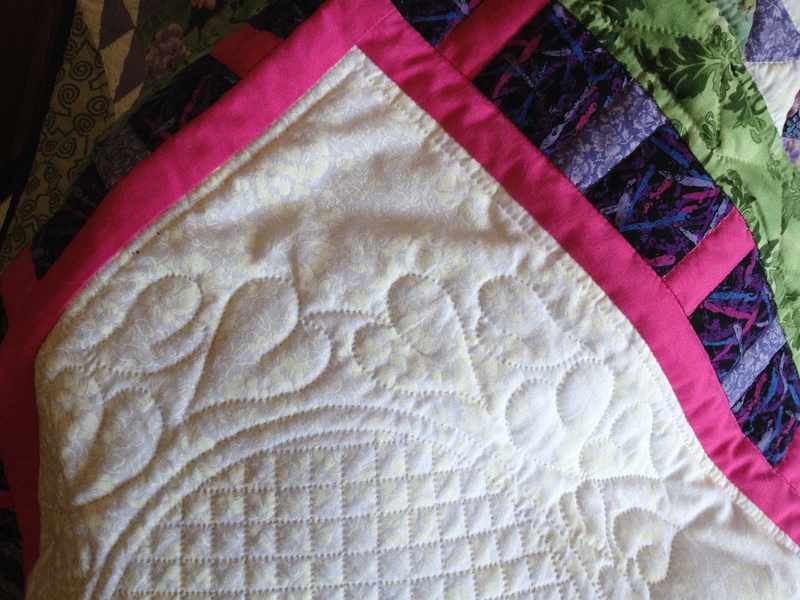 It's time for the Blogger's Quilt Festival and this is my first year to enter. 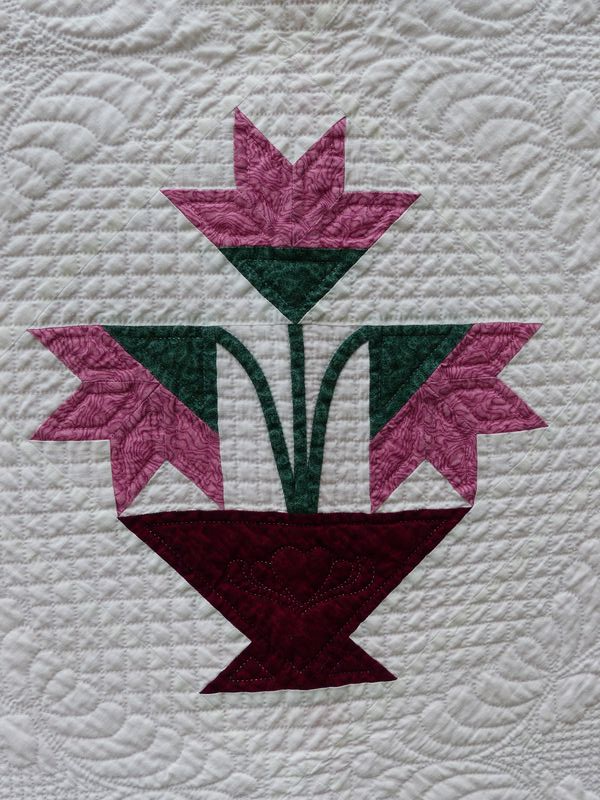 This North Carolina Lily is one of my favorite quilts and is entered in the Hand Quilting category. I had always wanted a red and green quilt and this fit the bill perfectly. I drafted all of the feather quilting designs myself. 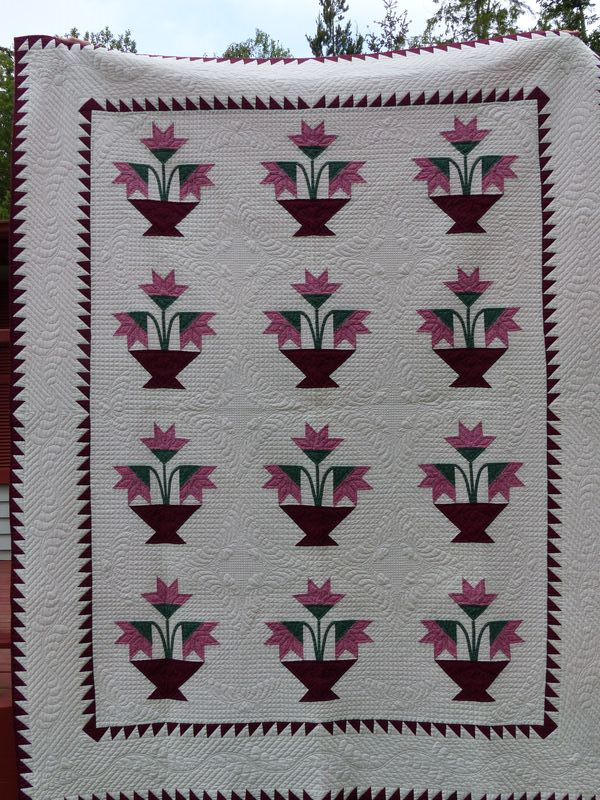 This quilt has won numerous awards and was juried into the AQS Show in Paducah. 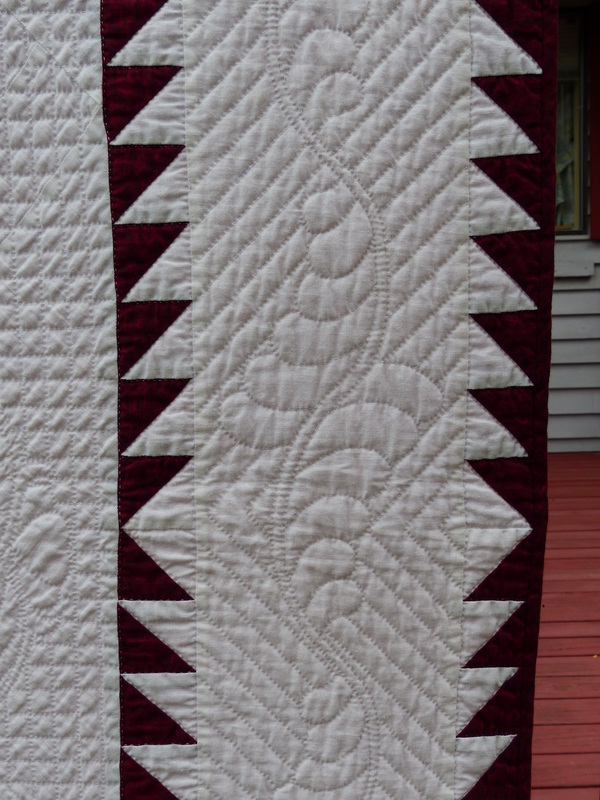 I hope you'll pop on over to the Hand Quilted Quilts Category sometime during May 24-29 and give my quilt a vote. You'll need to scroll down a little to find my quilt. The problem with hand quilting is that the going is pretty slow and after a while all the progress photos look pretty much the same. The good news is that I am on the last wide border and then all that is left are four smaller borders and some fill in quilting on the inside. 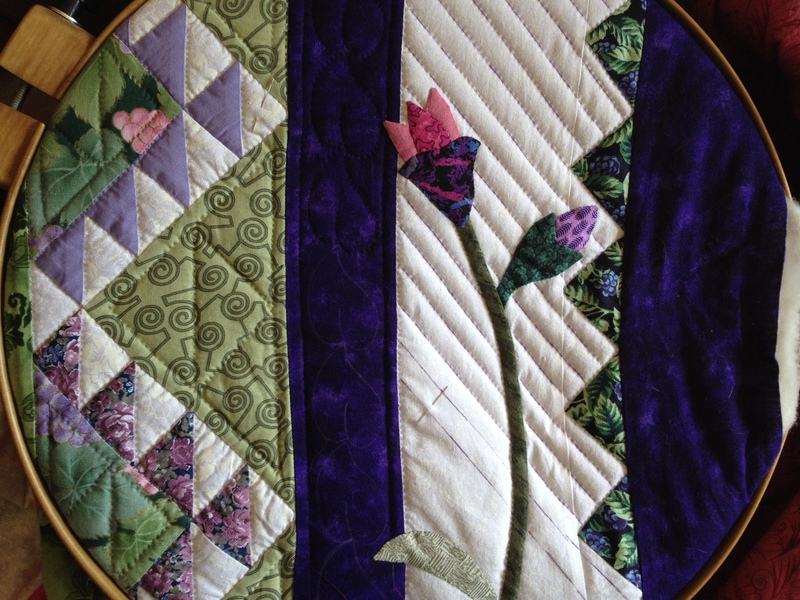 The quilting I have on some parts doesn't quite fill up the space adequately and I need to add some more leaves or something. I really am anxious to get this done and move on to something else! After ten years of marriage I am finally making a quilt for my daughter-in-law. In my defense, it's taken me this long to really get an idea of what she would like. Once we decided, I quickly popped over to the quilt shop on the neighboring island and bought the fabric before either one of us could change our mind. This is a little departure for me. I don't normally lean toward scrap quilts, although I like the look. But I just don't seem to be capable of being totally scrappy. 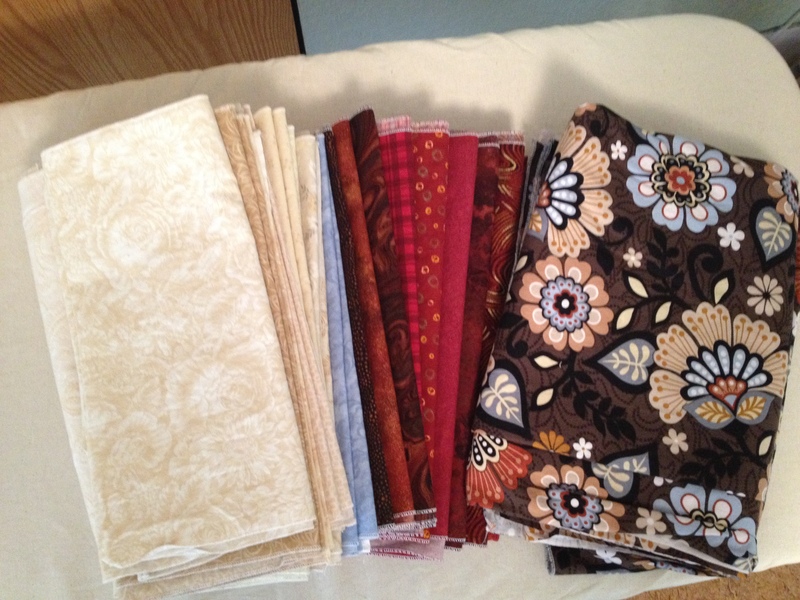 For this quilt, I used Donna Lynn Thomas' guidelines for a more "planned" scrap quilt. I used the print as my idea fabric and Abby liked it well enough that it will also be the border. I'm especially pleased at all the beiges I found – I think this will add a lot of interest. The blocks will be Monkey Wrench, but I really haven't thought too much ahead on how to set them. Probably something fairly simple. 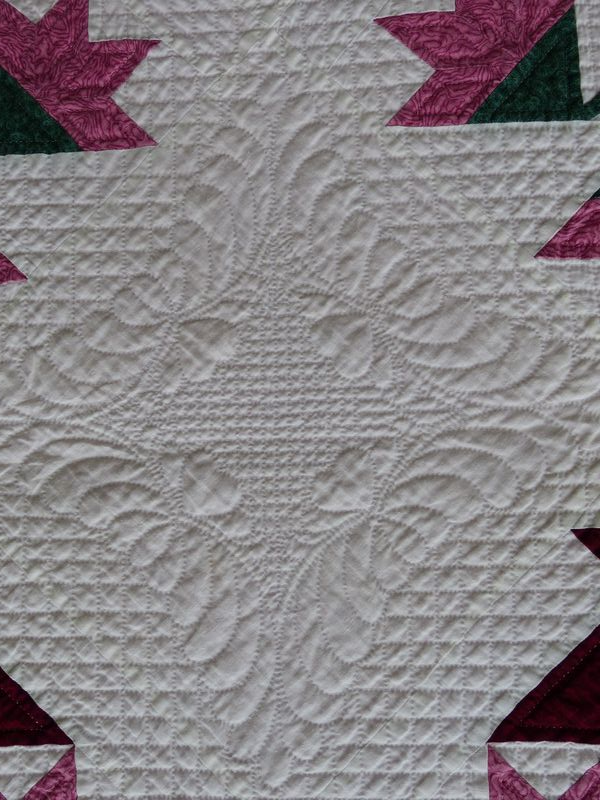 The quilting will also have to be pretty simple, especially in the print border. I had thought to wait on this until October when I go to a quilting retreat. I thought it might be fun to have a new project to work on. But I doubt I will be able to wait that long! 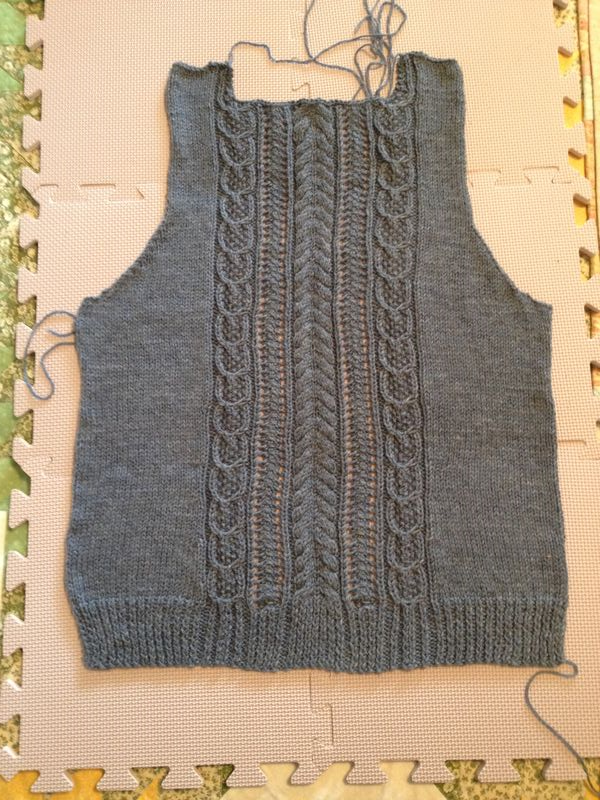 On the knitting front I have discovered Amy Herzog. I took her "Fit to Flatter" Craftsy class and it's causing me to look at sweaters, and indeed my whole wardrobe, in a different way. I am determined to break away from my normal uniform of shapeless sweatshirts and jeans. I ordered one of her Custom Fit patterns and I'm anxious to see the result. The pattern I'm using is Acorn Trail. The back is done and blocking and I have started on the front. 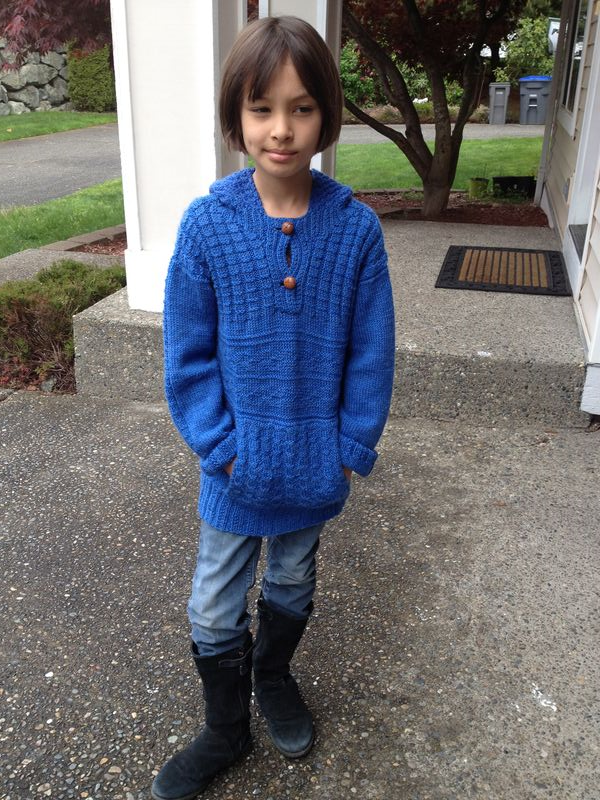 I'm happy to report that Isobel's sweater was a big hit! There was a bit of a crisis when it was left behind at the dance studio just days after I gave it to her, but it was retrieved without incident. I have to chuckle at her photo – she was trying to look "cool". Nine years old and it has started already!! 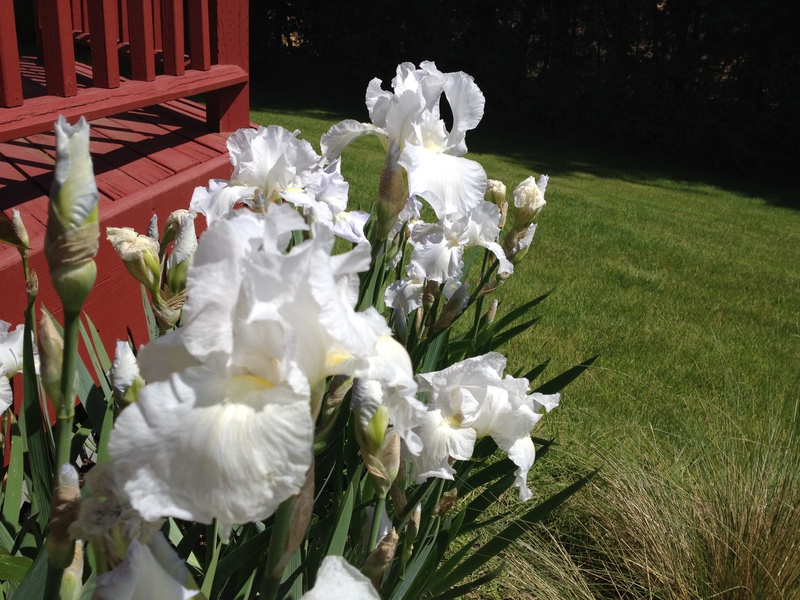 Hope all the Moms out there had a great day. 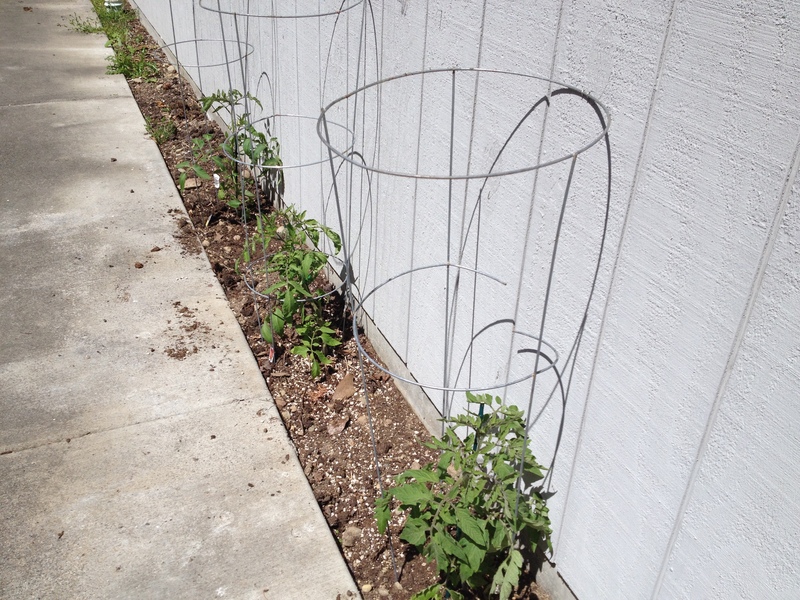 Hubby's gift to me was not only tomato plants, which he planted, but the promise to water them for the entire summer! It's a bit of a joke in our household that I start out with such great intentions on gardening and then forget to water. So this is really the perfect gift.